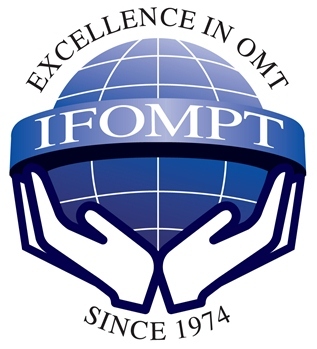 IFOMPT is the International Federation of Orthopaedic Manipulative Physical Therapists. The Federation is the largest recognized sub-group of the World Confederation of Physical Therapists (WCPT) representing 21 member organisations that each have a representative at the Federation table. 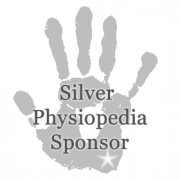 As a group, their mission is the “worldwide promotion of excellence and unity in clinical and academic standards for orthopaedic manual / musculoskeletal physiotherapists”. It encourages improved standards of education and clinical practice throughout the world. How does IFOMPT serve the physiotherapy profession? The Federation represents groups of Manipulative Physiotherapists around the world who have completed stringent post-registration/post-graduation specialisation programs in the field of neuro-musculo-skeletal disorders. Orthopaedic Manual Therapy is a specialised area of physiotherapy / physical therapy for the management of neuro-musculo-skeletal conditions, based on clinical reasoning, using highly specific treatment approaches including manual techniques and therapeutic exercises. Orthopaedic Manual Therapy also encompasses, and is driven by, the available scientific and clinical evidence and the biopsychosocial framework of each individual patient. The IFOMPT conference is held once every four years and is the largest specific international gathering of experts in the field of orthopaedic manual and musculoskeletal physiotherapy. It is an opportunity for the very best and brightest in research, clinical practice and academics to come together to present and attend sessions that include the very latest clinical and scientific thought and research. Although the conference is geared towards the needs of manual physiotherapists, the material that will be covered will be of interest to all physiotherapists and other health professionals who have a special interest in orthopaedics. As the focus symposia formula will be used, where some conference sessions are longer and paired with workshop sessions, it will offer unique opportunities for the participants to share their knowledge with colleagues from other countries. If you are a local physiotherapist or student who has never had a chance to attend an international conference of this caliber, it will be an event not to be missed as it will probably not be back in Canada during your career as a health care practitioner. Register Now!